Tennis Legend Arthur Ashe's Family vists Renaissance Foundation in London — . Last Saturday 11th July, Renaissance Foundation had the great pleasure of receiving a visit from Johnnie Ashe and his beautiful family. Johnnie Ashe is the brother of the late tennis legend Arthur Ashe, an inspirational figure inside and outside the sports world. For those who don’t know, Arthur Ashe was the first black person to participate and win Wimbledon as well as US and Australian Open amongst other competitions. He started the ATP to fight for the rights of tennis players and dedicated the last days of his life to educate the world about AIDS and HIV an illness he contracted thought a blood transfusion at an open-heart surgery. 2015 marks 40 years since Arthur won his first Wimbledon tournament and to commemorate the date, Wimbledon wanted to fly Johnnie from the USA to this year’s final, what served as a fantastic excuse for RF to invite him over to give an incredibly inspirational talk the Young Leaders. 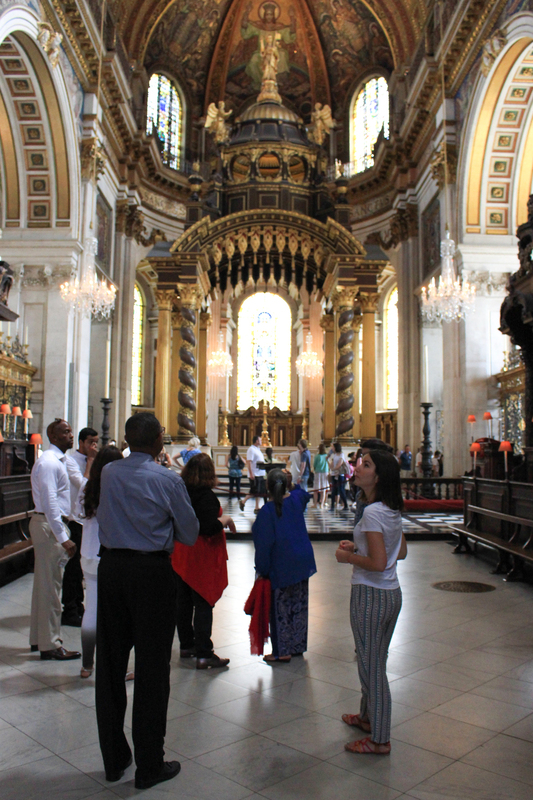 After a guided visit through St Paul’s Cathedral by our wonderful host Donna McDowell (a place Arthur visited during his time at London) Johnnie gave us the chance to listen to both his and his brother’s stories. These are stories of scarifies, self-improvement and achievements full of inspiration. The greatest pleasure of all was being able to witness Johnnie speaking about his brother with such an admiration and a passion materialising this way the legend Arthur is and proving that he was indeed the kind, strong and determined figure everyone speaks about. Please click on the image to start the slideshow of pictures of our amazing day with Johnnie Ashe. Newer PostUSA Ambassador Matthew Barzun visits Renaissance Foundation - Our Young Leaders were inspired!